There are rather few things in Far Harbor DLC for Fallout 4 that related to the power armor. In spite of this the new paint job for power armor was found. 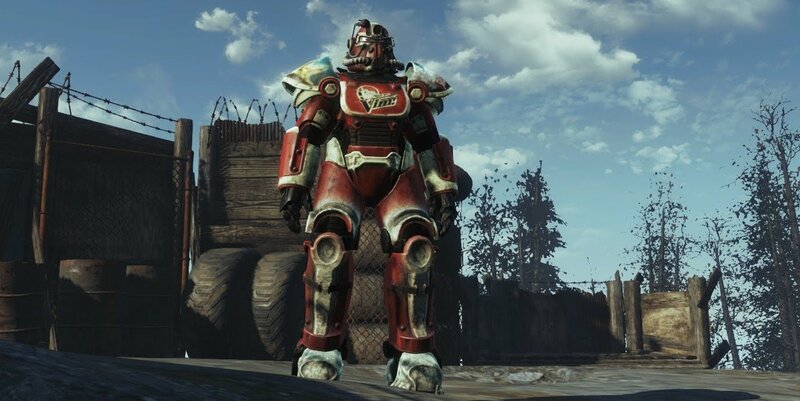 Its name is Vim paint job and you can get the extra bonus Strength after painting every piece of your T-51 power armor. It looks quite interesting but in fact this "skin" is just an advertisement of the VIM lemonade. That is why it can be found by you in the Vim Pop Factory. 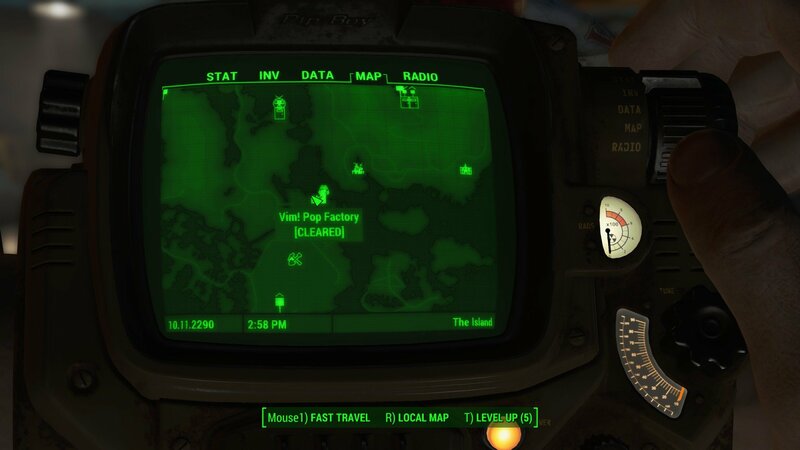 You will find the this Factory in the south-west of the Far Harbor. You need to go rather far inland of this area. But if you find yourself in the south part of this island you have gone much further. Turn left after you go to the front entrance of the building and move around this factory till you find the stairs. They'll take you to the factory back entrance. Enter inside the building and take some stairs down into the room to the left side (there is the big wall advertisement "You've got…Vim! Quartz" on your right). Inside the room you'll be able to find the power armor station and the T-51 power armor. The VIM Paint job's already been applied to it. Interact with this room computer terminal and choose the option [Vim Paint Job Schematics] if you want to unlock this paint job application for any of your power armor suits. This option will be added to your inventory permanently.